The statistic illustrates the number of jobs in the hotel and hostel industry in Amsterdam in the Netherlands from 2010 to 2018. 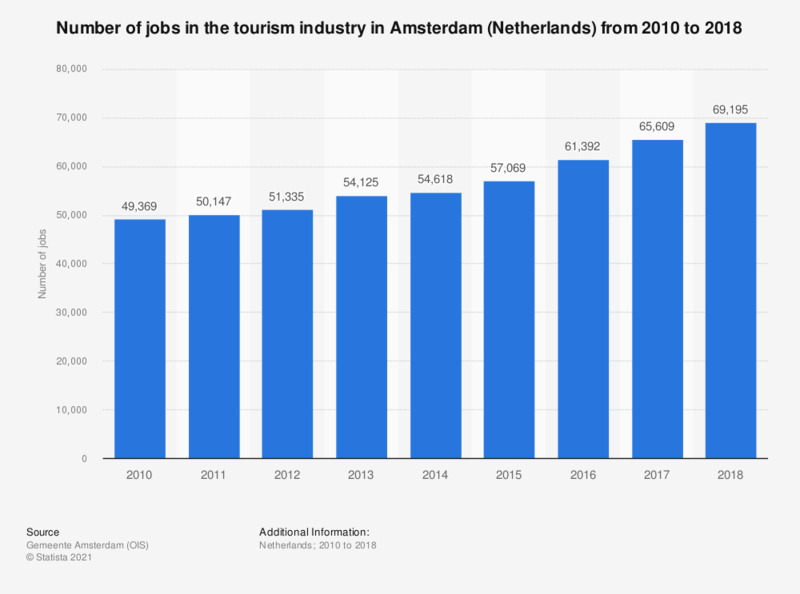 As of 2018, there were roughly 70,000 jobs in the tourism industry in Amsterdam. This is an increase from the 65,609 jobs reached in 2017 and the highest number reached since 2010. Statistics on "Tourism in Amsterdam"